'Tonight Show' Sidekick Ed McMahon Dies Ed McMahon died early Tuesday morning at the age of 86. From 1962 to 1992, he introduced Johnny Carson on The Tonight Show. Then, after the monologue, he sat next to Carson's desk and laughed at his jokes. Ed McMahon died early Tuesday morning at the age of 86. From 1962 to 1992, he introduced Johnny Carson on The Tonight Show. Then, after the monologue, he sat next to Carson's desk and laughed at his jokes. Ed McMahon died early this morning at age 86. He had many jobs: radio announcer, fighter pilot, door-to-door salesman, but there's one post he held longer than any other. 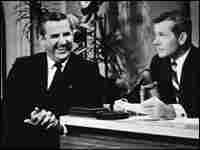 Mr. ED McMAHON (Announcer, "The Tonight Show"): Here's Johnny. 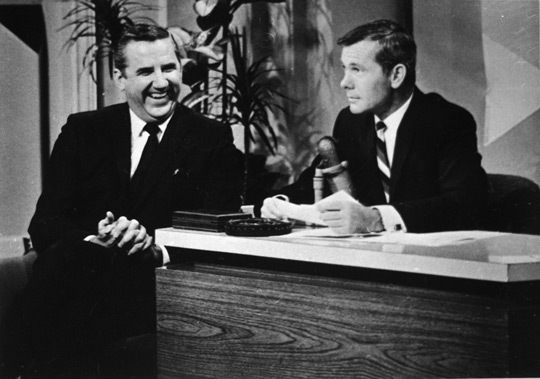 From 1962 to 1992, Ed McMahon introduced Johnny Carson on "The Tonight Show." Then after the monologue, he sat next to Carson's desk and laughed to his jokes. Mr. CARSON: That's right, Ed. They came up with some tips of our own: Don't buy a house that's on fire. Never buy a house that has a roof attached. Don't buy a house if you know there's drippings from five of the faucets and the owner. 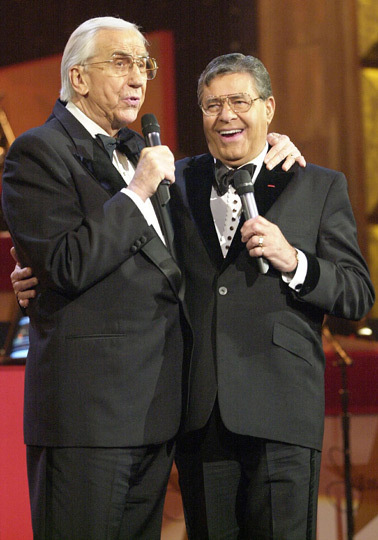 SIEGEL: After making Carson seemed even funnier than he was, Ed McMahon would slide down the couch to make room for Carson's guests; the celebrities whose star had shown brighter in the TV studio. BLOCK: (Reading) Of all the 22,000 guests that Johnny had, the one with whom I most identified was Jay Silverheels, a Native American who played Tonto on "The Lone Ranger." 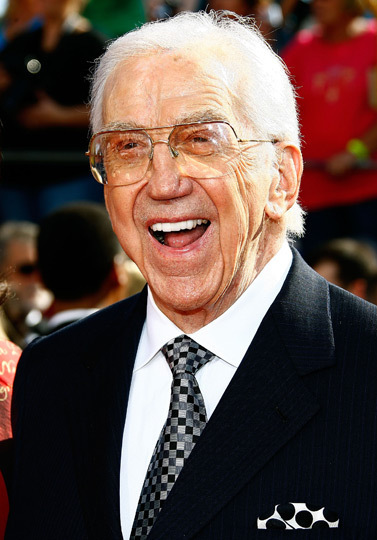 Ed McMahon: trustee sidekick, second banana, the guy on the couch who laughs at the jokes harder than anyone else. 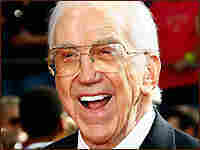 Ed McMahon died today in Los Angeles. He was 86. Ed McMahon arrives at the 60th Primetime Emmy Awards on Sept. 21, 2008, at the Nokia Theatre in Los Angeles. Ed McMahon plays straight man to Johnny Carson during one 'Tonight Show' skit. Ed McMahon shares a laugh with host Johnny Carson on the set of the Tonight Show in the 1960s. 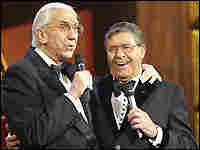 Comedian Jerry Lewis and Ed McMahon perform during the 2000 telecast of The Jerry Lewis MDA Telethon in Los Angeles. Longtime television personality, game show host and Tonight Show sidekick Ed McMahon died in a Los Angeles hospital Tuesday. He was 86. Perhaps best known as Johnny Carson's straight man, whose bellowing "H-e-e-e-e-e-ere's Johnny!" opened NBC's Tonight Show, McMahon had dreamed of being a radio announcer since he was a child. But being a foil to Johnny Carson — a gig that lasted 30 years — is what made him famous. In a 1998 interview with WAMU's Diane Rehm, McMahon said being Carson's loyal sidekick was one of the best jobs in show business: "What a place to be, next to a guy as accomplished as he is. Here I am sitting next to him, doing counterpart to him!" After Carson left the Tonight Show, McMahon moved on to other projects; in the 1980s and early '90s he hosted Star Search, the talent show that helped launch the careers of the comedian Sinbad and singer Christina Aguilera. In recent years, McMahon made headlines when he was about to lose his multimillion-dollar Beverly Hills home when he defaulted on his mortgage. Appearing on CNN's Larry King Show, McMahon acknowledged spending more money than he made. But he did have a sense of humor about it. Earlier this year, he and rapper MC Hammer teamed up in a Super Bowl ad for Cash4Gold that poked fun at their spendthrift ways. It might not seem like the most honorable way to end a career that made McMahon one of the most recognizable personalities on American television, but humility also seemed to be one of McMahon's traits. He once said that on the Tonight Show with Johnny Carson, he tried to be like very good background music in a movie: "The great movies are the ones where you don't even know there's any background music at all. That's what I tried to be — the guy who was in when he was needed, but out of the way when he wasn't." That could also be said for a good salesman — which Ed McMahon always proudly considered himself. He once said: "If I can hold it up and point to it, I can sell it."